On February 27th at the Theater at Madison Square Garden undefeated two-division world champion Terence Crawford entered the ring to do battle in his second defense of the WBO Jr. Welterweight world championship. Crawford’s opponent on that evening came in the form of longtime Lightweight and Jr. Welterweight contender Hank Lundy, who despite his status as a longtime contender was fighting for a world championship for the first time in his career. 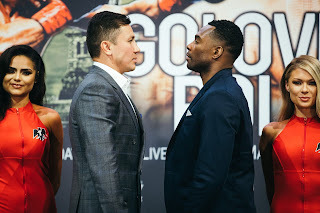 The story going into this fight in the eyes of this observer was whether or not Crawford could continue to impress the Boxing world after impressive victories over the likes of Yuriorkis Gamboa, Ray Beltran, Thomas Dulorme, and Dierry Jean. Although Crawford has only continued to impress no matter who his opposition might be, he has yet to secure a lucrative opportunity to face a fighter who is considered a star of the sport. Although Crawford was ultimately not chosen as an opponent for former multi-division world champion Manny Pacquiao’s upcoming fight, there is no doubt that Crawford is and has been a star on the rise in the sport of Boxing. The task of a fighter who is on the rise, but does not get an opportunity to showcase their skills against fighters who are considered marquee stars immediately is to continue to make the best argument for themselves as a potential future opponent for a marquee star as possible. Even though some would say that the best way for a fighter to make that argument would be to simply continue to win, sometimes it is not only if the rising star continues to win, but rather the quality of those victories that may ultimately determine when that fighter gets an opportunity against a marquee star. In this fight Crawford simply waited for his opening and once it was presented to him, he took advantage and closed the show. The first four rounds of this fight saw both fighters having periods of effectiveness in what was a tactical Boxing match. Although Lundy had periodic success throughout those rounds particularly when he was able to land his left hook on the champion, the combat was very close and competitive throughout. It was in the fifth round however, where Crawford would bring the fight to a sudden conclusion. The champion would stun Lundy midway through the fifth round with a left hand. Crawford sensing that he had an opening on his challenger pressed forward landing shots to the body and head before dropping Lundy to the canvas with a left hand to the head. Although the challenger showed his mettle by getting up from the knockdown, Crawford would not let Lundy off the hook as he pressed forward with a follow-up barrage that forced Referee Steve Willis to step in and stop the fight at 2:09 of the fifth round. Sometimes it is as simple as whether or not a fighter can execute on an opening their opponent leaves them. Simply put, Terence Crawford waited patiently, and once he saw his opening took advantage of it, and brought the fight to an end. For Crawford, who earned his twenty-eighth career victory with his stoppage of Lundy, the question is whether or not he will be a potential opponent for the winner of the upcoming third encounter between former multi-division world champions Manny Pacquiao and Timothy Bradley on April 9th. Even though theoretically a potential encounter with the winner of that fight would mean that Crawford would move up from the 140lb. Jr. Welterweight division to the 147lb. Welterweight division for that fight, I believe that Crawford has earned the opportunity to face a marquee star in the sport and as the Welterweight division continues to be heading toward a period of transition, an argument could be made that there may be more money to be made at 147lbs. than if Crawford were to remain at 140lbs. If however, a fight with the winner of Pacquiao-Bradley III is not in the works for Crawford, a possibility certainly exists that he could attempt to unify the Jr. Welterweight division against the likes of WBA world champion Adrien Broner, WBC world champion Viktor Postal, and IBF world champion Eduard Troyanovsky. A possibility also exists that if Crawford is not intending on moving up in weight at least in the immediate future that he could be mandated by the World Boxing Organization (WBO) to defend his title against a mandatory contender such as Jason Pagara or former WBO world champion Ruslan Provodnikov, who are currently rated number one and number two respectively in the WBO’s Jr. Welterweight ratings. This observer believes it is logical that Crawford will what for the outcome of Pacquiao-Bradley III before deciding on what route he will take next. It is clear in my eyes however, that Terence Crawford remains a fighter to watch and it will be interesting to see if he does not get an opportunity against a marquee star of the sport in his next fight if he can continue making the best argument possible for a potential opportunity down the line.